Big 4 Holiday Parks were looking for something that would be interactive for the whole family and offer an additional attraction to the park. 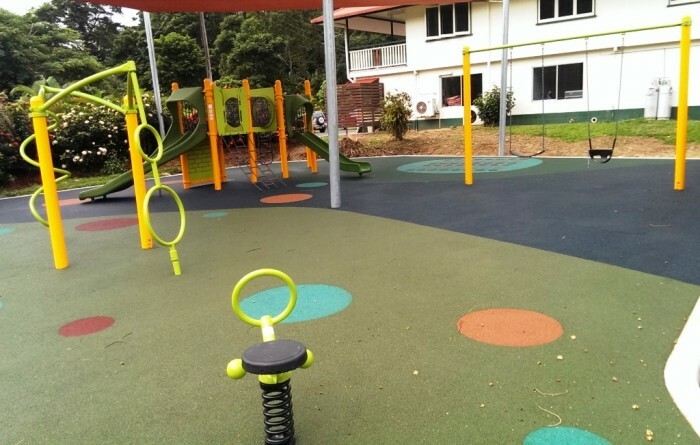 A multi age playground was included to cater for younger children while still offering challenge and fun for the older years and a swing and bobble rider to keep visitors of all ages entertained. 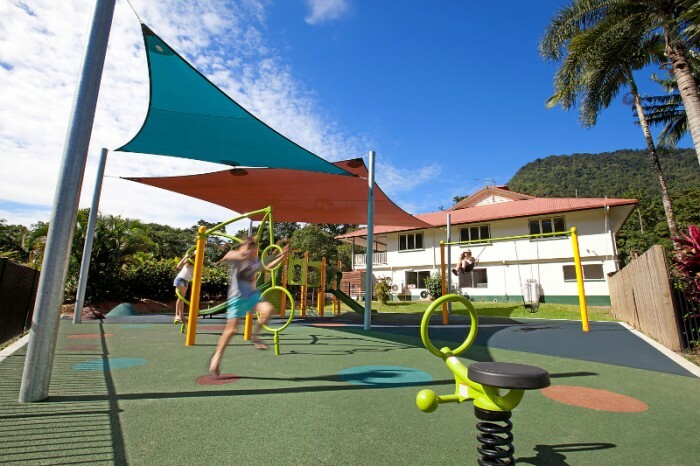 The blender/gyro twister provides the older children with a physically challenging activity – that promotes upper body strength and coordination while providing great vestibular stimulation. 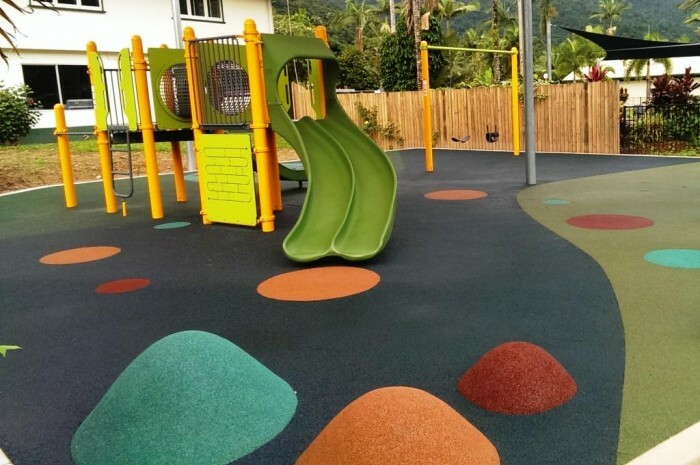 But what’s a holiday without some family activity, and the owners of the park really liked the idea of incorporating games into the rubber design. Some imaginative play with brightly coloured dome mounds and circles, and then an ever popular Twister game so that Mum and Dad can get involved in the fun too! 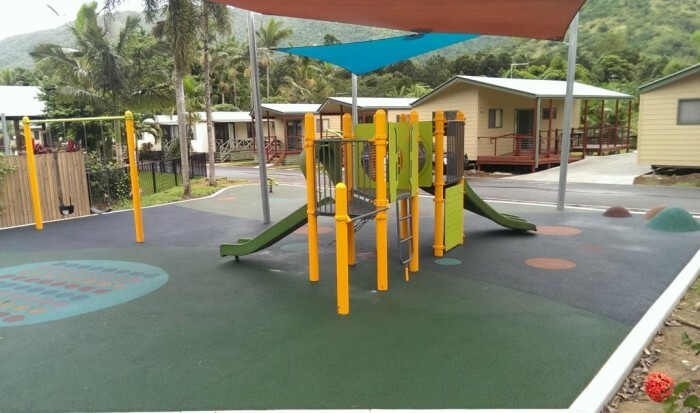 Cairns was hit by a major cyclone during the installation, so we’re pleased to boast that the products have already survived a Category 5 cyclone and come out unscathed!